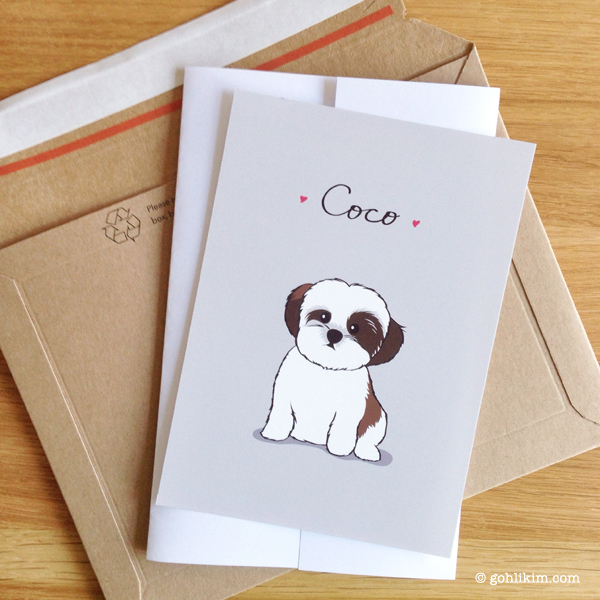 Order a personalized cute illustration of your dog! Our custom dog prints make the perfect gift! Illustration will be printed on archival matte paper 192g/m² and packed in a clear cello sleeve. It will be mailed in a LIL Rigid Cardboard mailer. Please contact me to place an order, thanks! *Please note that this is for Print only. If you need digital file for commercial use, please email me for details. I am looking for a picture of a shih-tzu that is easy to embroider, for a present for a friend. Your doggie drawings are beautiful, and the shih-tzu would be perfect. Can you please let me know how much a digital file of the line-drawn shih-tzu would cost? Copyright © 2014 goh li kim.